Tone 12 is the Day of Understanding. Retrospection is a Spiritual Gift given only to Human. We are called to look at our own State of Consciousness. Our place of “checking in” is always with Mother Earth. Through a breath of Consciousness, we can take a new measure of the Realness of her Love. Crocodile/IMIX returns us to the beginning of all things and the Love of a Primordial Mother. IMIX was there at the beginning of Creation. She holds the energy that ignites new life, forming the Seeds for a new Season of Spiritual Harvest. Through our capacity for retrospection and discernment, all the pieces of our understanding are fit together. IMIX births us into a new way of Being. A new Truth sets in as we put all our experiences together. We found that Love doesn’t “happen” but is something created. We see our own Power to Create Change to Empower Our Self. A few years back I followed a Eagle’s nest on webcam. “Branching” was the sign that the young eagle is about to fledge. He spent his last days in the nest jumping around from one branch to another, learning to hold on. Then he’d find a sturdy branch and “fly in place” to exercise his wings. Each function was learned independently until the day the fledgling took its first flight from the nest. There was a sense of anticipation on the morning he was gone. Dad waited in the nest with a fish that was never eaten. When the cameras finally found him, he was perched on a branch in the middle of the river. There was a wonder and excitement in seeing him so close to the water, facing into the current as water rushed by. It was almost as if this were the first time that I myself was seeing Earth from such a vantage point. I realized this was the flight he’d seen his parents make from the nest to a fishing place. It was days before he was seen again. Once survival was figured out, a whole host of adventures were open to explore. Tone 12 helps us put all the pieces together. Just as the young eagle instinctively knew that he was Ready, so can we Realize the Truth of our own Transformation. This is a day to stop and check in with our Self. There’s something new we Know we are capable to do. Crocodile/IMIX is a Day Sign that ignites our Imagination. We could have a vision of a whole new way of Being. Each new understanding can become second-nature in support of a Higher Direction of Movement. IMIX is said to bring thoughts and inspiration out of the blue. IMIX shakes us out of our normal patterns of thought. IMIX brings the Power of Innovation through fresh ideas. We are encourage to follow our train of thought, no matter how unrelated it may seem. If we allow ourselves to take an imaginary journey, we may find it seeds a Higher Inspiration. All our work was focused on acquiring a skill of movement. Today, we can realize how much further we could go. It’s a day to experience a freedom of movement that has no limits. To all my relations, may we acknowledge the energy of the Divine Mother whose Love goes back to the beginning of time. May we listen for encouragement and inspiration in our Inner Voice. Today is a day to be inspired by Possibilities. Something we learned along our way has a Greater Application than our original intention. May we Realize how we have been Prepared for a Flight we’ve never taken or even dared to Dreamed of. Galactic Tone 12: Twelve is a gift of great capacity of retrospection. It is this ability that allows Twelve to connect disassociated parts into a (new) functioning whole. The energy of Twelve is that which presents a new piece of understood information or accumulated experience to be applied. Cherokee Turtle/ DAK’SI I’SB: Turtle Island; direction East. The Turtle Constellation Orion, one of three stars in the Cosmic Egg. 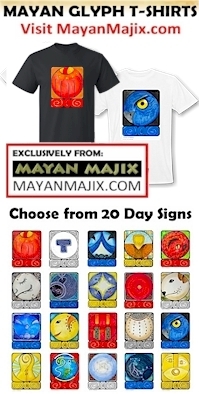 In Mayan is the Cosmic Hearth. Turtle is the Energy of Creative force at the one-on-one, personal level; dawn, awakening, birth. The beginning of each new era, this star in Orion appears with the rising Sun, heralding the creation of a new World cycle. Totem-Dragon. The energy to understand all things sacred; creation energy, connection for visions, to learn the mysteries of the Universal Knowledge. The dragon carries the source energy of life, revered in ancient cultures for power and wisdom. I particularly enjoyed the imagery of the eagle’s nest and the metaphor of practice yielding adventurous flight !